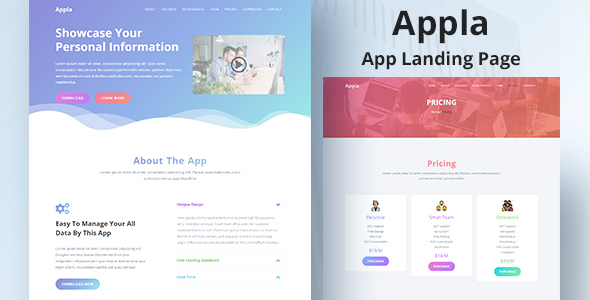 Appla – App Landing Page Template – This is App Landing Template. It is designed with Bootstrap 4 and clean & modern Look. It is very useful to marketing and promote you App website and it is also useful for mobile games showcase or any application website. Note: Demo images are not included in main downloadable file. Demo image used only for preview purpose. but included documentation file for full instruction.